My life is full of awesome musicians, so I would be remiss if I didn’t share about them. The Catfish Hunters are on the road again! This time they’re not going as far as Bosnia, but The Catfish Hunters are scheduled to perform at the 26th Anniversary Tucson Folk Festival. The Festival is a FREE two-day event offering over 20 hours of music, dance, and entertainment. Spread the word! We’d love to see you all there. 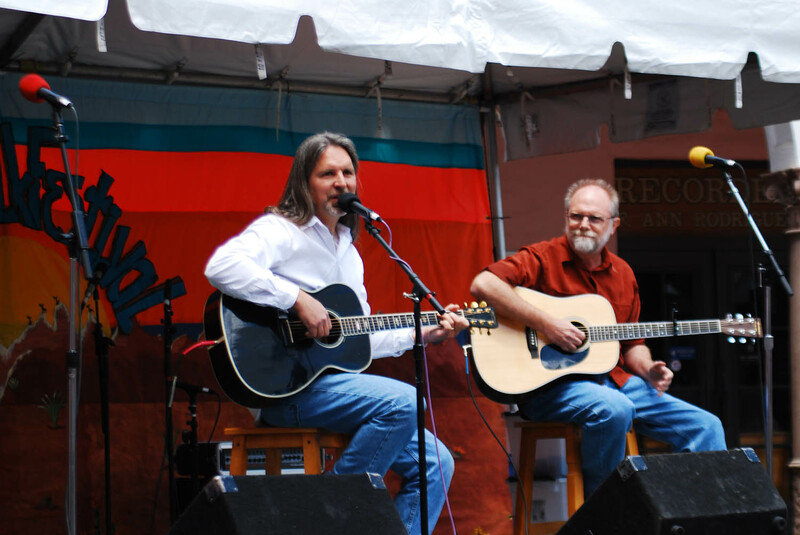 Terry and Bob will be playing at 1:30 PM on Sunday, May 1st on the Museum Stage at the Tucson Museum of Art. If you’re looking for a fun day trip or even a weekend getaway, come on down and see them and dozens of other artists perform. Be sure to arrive early so you can get to the stage in plenty of time to find a seat. 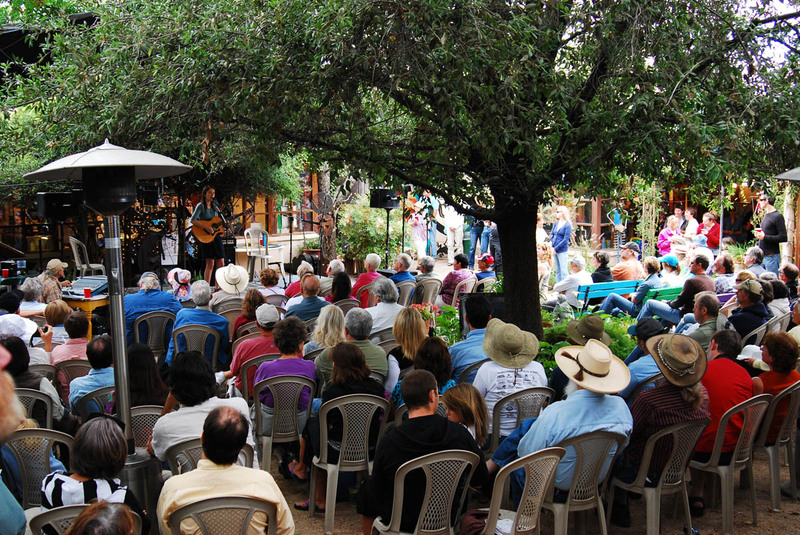 The center of Festival activity, including the TKMA Kitchen Store (where performer CDs and T-shirts are sold) food & craft vendors, is in El Presidio Park in old town Tucson. Here are a few pics of the Festival last year when Terry had the privilege of accompanying his friend, Dave Argentati who was one of 10 finalists in the songwriters contest. Just wanted to let you know that I’m still alive. We’ve had several out of town guests visiting over the last month or so, plus I’ve been sequestered trying to set up an invitation, web page and registration form for our upcoming Hand in Hand Reunion. I’m happy to say that we’re in the home stretch and I hope to have it all done by this weekend sometime. In the meantime, why don’t you check out the new Hand in Hand blog that my friend, Linda created to start gathering stories from that season of our lives back in the 70’s. The photo above is me on the left with Shira, the group that I sang with back then. 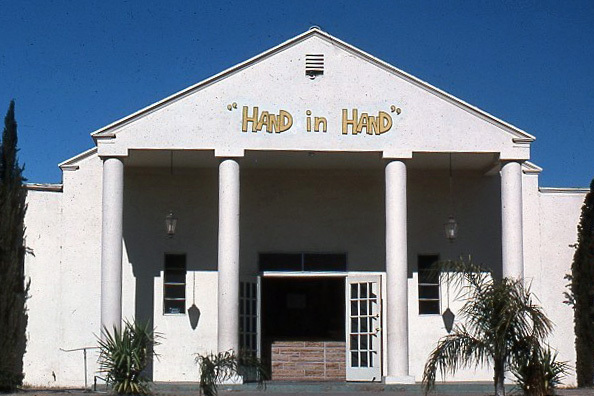 In case you’ve never heard of Hand in Hand it was an evangelistic music ministry in Phoenix, AZ in the 70’s and early 80’s. 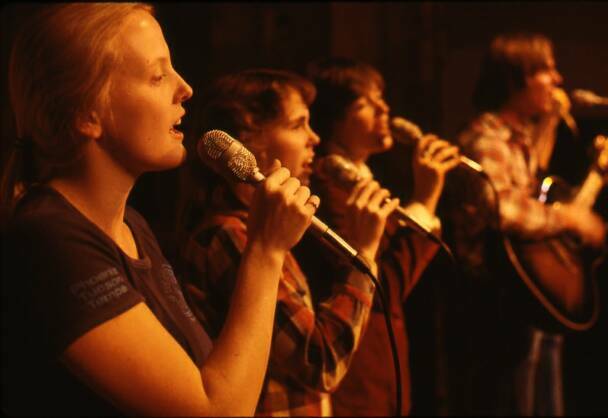 It was started by a group of friends and the band “The New Beginning” to provide a place to reach out to young people with the gospel of Jesus Christ through the music of the day. So what were you doing back in the 70’s? I’ll probably be pretty sporadic in my blog posts in the coming weeks, but don’t go away. I love having visitors. 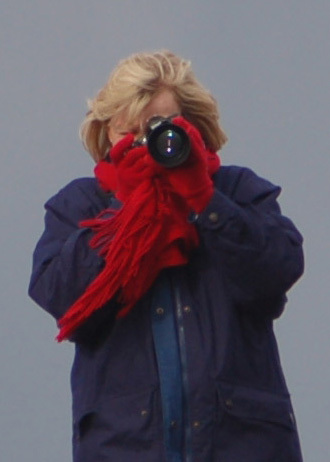 I don’t have time to caption all of my photos right now, but if you’re interested in seeing an overview, check out this slideshow below from my Picasa page. Our trip has gone smoothly as far as logistics. Bob’s head cold has been the biggest hurdle for their performances. Most people can’t tell that he’s having issues, but for those of us who know what the songs should sound like, we can tell that he’s struggling at times. Please be praying for him especially the next few days. We leave today for Sarajevo and the guys will be performing either at churches or another venue on Thursday, Friday and Saturday nights. He will need a strong voice to make it through those times. Terry’s harmonica and mandolin have been a big hit with everyone. This seems to reveal itself most often in their dry sense of humor when they’re performing. The Bosnians weren’t going to tell us, but it kind of slipped out at lunch the other day. Apparently they were laughing about it when the guys were performing at the Coffee Bar the other night. I love it! Sorry I don’t have time to share more, but we’re heading out to Sarajevo in a few minutes. Hopefully I’ll have time to fill in some of the blanks when we’re there. We’re Hoping to go to Bosnia! Terry and I are excited about a chance to travel to Bosnia and Herzegovina for a short-term mission trip – our first ever! God has provided the opportunity and the availability of time off for us to travel and we are so very thankful. If we can raise the necessary funds, we’ll go as part of a team from our church, led by Bob and Helen Ryan. Helen leads Open Door to the World (ODW) an outreach arm of our church, Open Door Fellowship, in Phoenix and her husband Bob is an amazing musician and songwriter. The Ryans have been working for years with the people and churches of this struggling nation since the war that tore Yugoslavia apart in the 1990’s. Open Door to the World, has worked to help bring hope and reconciliation to Bosnia since before the war’s end. Beginning with a long-term assistance program to Bosnian refugees arriving in Phoenix, and working to impact the country with yearly teams to Bosnia itself, ODW has formed long-term relationships in the struggle for peace there. 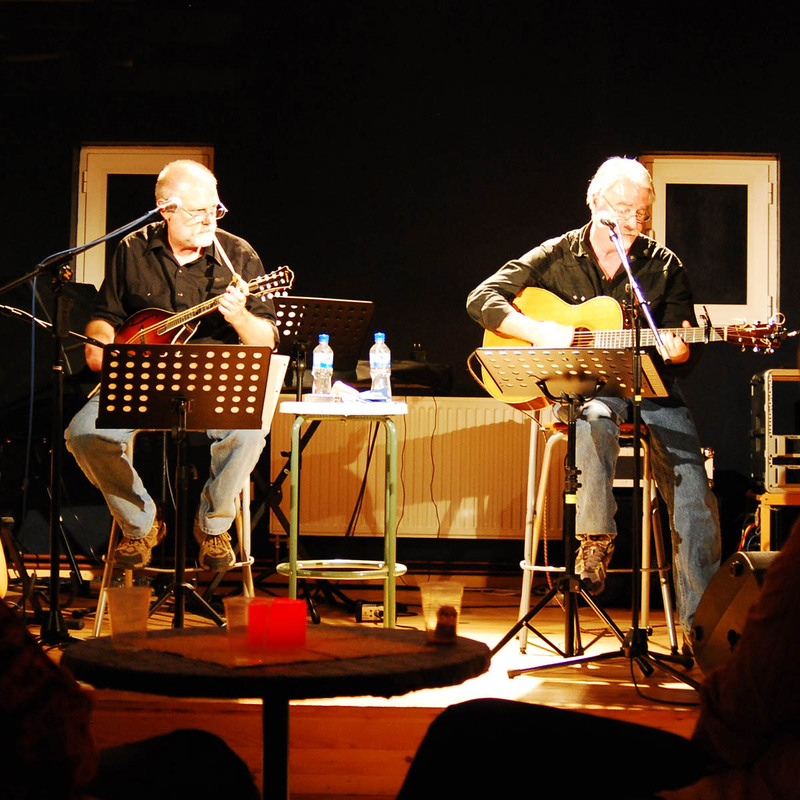 This year, the Catfish Hunters musical duo (Terry and Bob Ryan) have been invited to perform at various venues in three towns in Bosnia and Herzegovina. What we’ve been asked to do is present songs that speak about forgiveness, hope and reconciliation to this war-scarred country. It’s a badly needed message. Now here’s the awesome part! 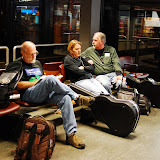 Terry’s part in the team will be to use the musical gifts God has given him to minister in the cities of Mostar, Sarajevo and perhaps one other. For those who haven’t heard him, he’s now playing guitar, mandolin, banjo, bass and harmonica. Through the Coffee-bar performances, our Team’s prayer is to reach out to the communities as a connecting point between the Christians and their non-believing friends in those cities. They’ll be playing both at churches, to encourage believers, and in secular “Coffee-bar” venues to bring the message of forgiveness and reconciliation. I hope to use my photography to capture glimpses of the stories of the Bosnian churches, people and ministries and bring them home to those who want to know more about the work God is doing there. We also look forward to opportunities to share Christ and to encourage the hearts of the believers, young churches and our own Open Door Fellowship missionary family there (the Tinlin’s) in practical ways as well. Along the way I hope to provide written and visual updates, whenever Internet access is available. We hope to be a blessing to the people of Bosnia. And we believe that doing so in God’s name will be a blessing to us. You can share in that blessing – In prayer as we prepare and while we travel, in financially supporting this work, and by keeping in touch with what we find and experience as it happens, through our regular communications during the trip. 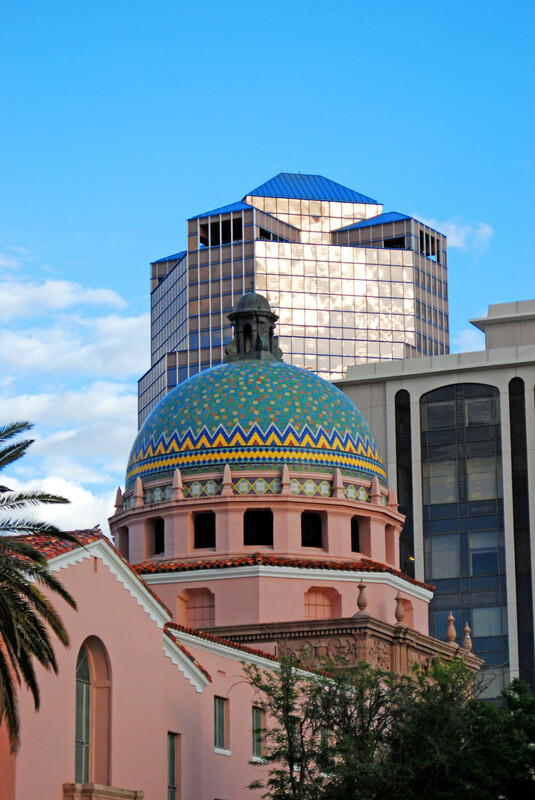 In a nation of several million people and fewer than 2,000 evangelical believers, the churches struggle to meet the needs of their members and to have a significant impact on their cities. Open Door to the World ministry trips are financed through the fund raising efforts and personal contributions of team members. Your participation with us is a significant investment in the Bosnian churches and their testimony in the surrounding communities. We would welcome any questions you have and will look forward to keeping you abreast of our plans, preparations and travels if you decide to partner with our team. Bosnia is still filled with strife and ethnic and political division. Without Christ, there is no solution that will bring these divided people together. Your prayers and financial support will give us the opportunity to use the gifts and talents that God has given us to encourage and minister to the people of Bosnia, using the universal message of music to reach across language and ethnic barriers to share the Good News of Jesus Christ! Add a comment here or send an email to hannfamily[at]cox.net to let us know that you’d like to join our prayer team. We’ll keep you updated all along the way. Or go to www.ODFChurch.org now and click on the Paypal link to donate online. It’s very important to Add: BOSNIA in the memo field so they’ll know where it goes. ODW will be hosting a dinner and theater performance fundraiser on April 23rd and 24th. Let us know if you want information about tickets to attend. Proceeds will help with our trip, as well as others. There will also be a silent auction fund-raiser on that night. If you’re not able to give monetarily at this time, then maybe there’s a product, craft or service that you’d be interested in donating for the auction. 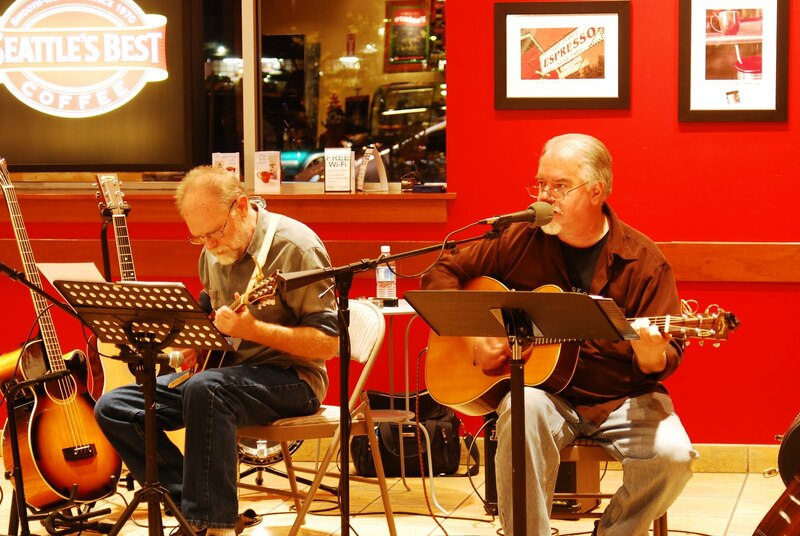 Become a fan of “The Catfish Hunters’ Musical Bridge to Bosnia” on Facebook. You’ll find more information there, have a chance to ask questions about our trip and see what’s happening in preparation. To learn more about the goals of Open Door to the World visit www.ODFchurch.org and click on “Outreach”. We hope you’re as excited about this opportunity as we are! Can’t wait to get there and see how God will use us to impact these communities. 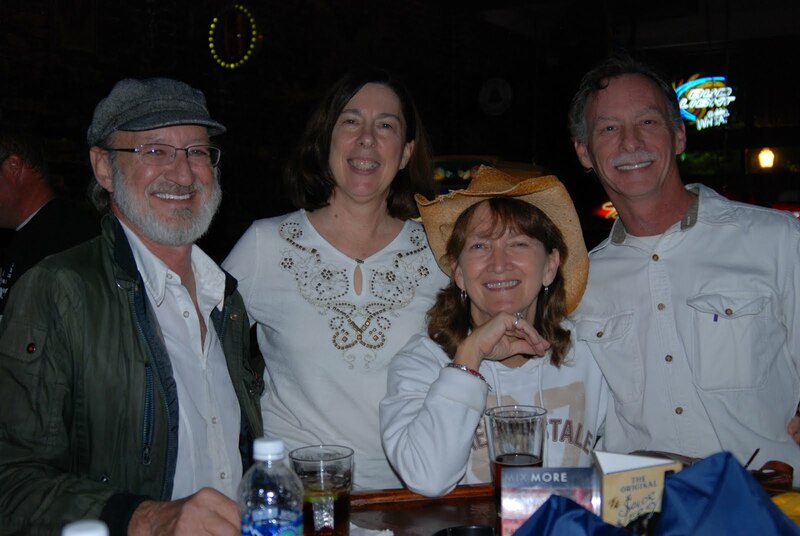 Last Friday, Terry and I drove down to Tucson so he could join his friends, Dave Argentati and Mark Converti to play music at the Glass Onion Cafe. They played a mix of 70’s covers, James Taylor, Jim Croce and others, as well as a good supply of Dave’s original songs. Terry even sang lead on a couple of old favorites. One of these days I’ll get a video tape of it. The cafe itself is a quaint little place with about 10 tables or so. All the seats in the house were full and there were even people standing outside to listen to the music. The photos behind the guys are called the “Wall of Fame”. The owners take pictures of their patrons and hang them up on the wall. Our friends, Doug & Liz Johnson (Liz is in red on the left -Doug is sitting in front of her on the other side of the table) from Santa Clarita, CA moved to Tucson a few years ago. Liz and I have connected on Facebook and they were so sweet to come and hear Terry and the guys play. They also brought their son, Zach (in brown) who is in high school now. The last time we saw him, he was about 10 years old, so he’s changed A LOT and is quite a handsome, well mannered, young man. He was so polite to sit thru 2 hours of oldies and songs that he’d never heard before. Thanks Zach. In this photo you can see a glimpse of Mark, the cellist sitting behind and between the guys. He adds such a beautiful sound to the trio. After the concert we had a chance to hang out with Dave, Kathrin and some of their friends. What a great group of people they are. It was such a fun night but we didn’t leave their house until midnight! We had a wedding to go to the next day (more on that later) so we decided to do the 2 hour drive home. Or should I say, Terry did the 2 hour drive home while I slept most of it. I think we’re getting too old to stay out until after 2 am. The next night we ended up coming home early after the wedding and I slept like a rock trying to catch up after a short night before. It was well worth it though, and we would do it again in a second! 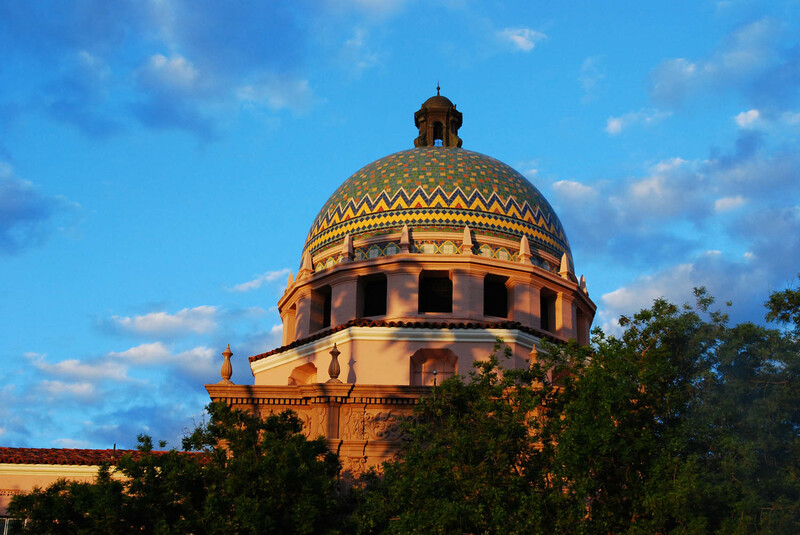 Maybe next time we’ll stay overnight in Tucson. If you want to see a few more pictures you can go here. 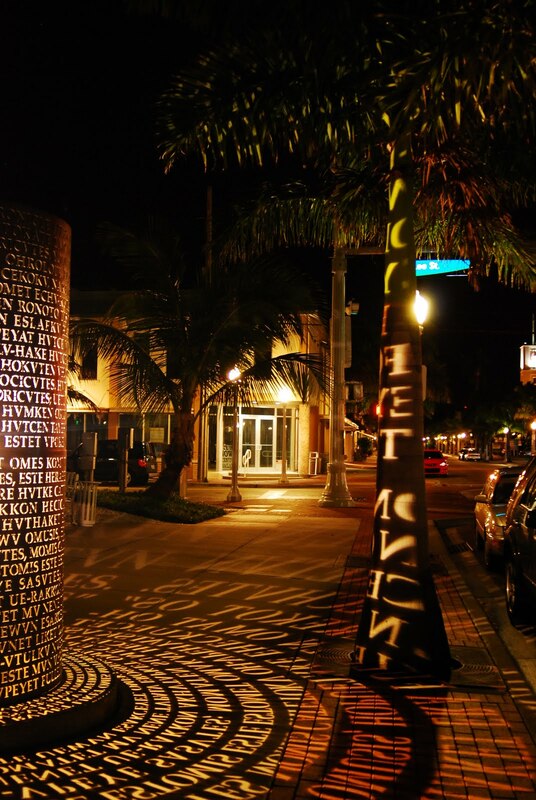 When we went downtown for the First Fridays Art Walk in Fort Myers we had a chance to meet some of Alice’s friends, enjoy some delicious food, browse a few galleries and hear some great music! 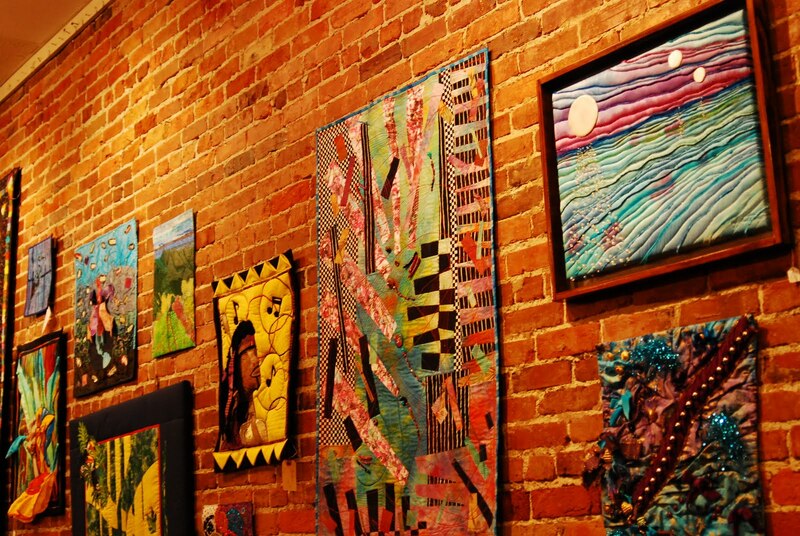 These are a few of the friends that Alice meets up with to enjoy First Fridays and other night life around town. They are a sweet bunch of folks. 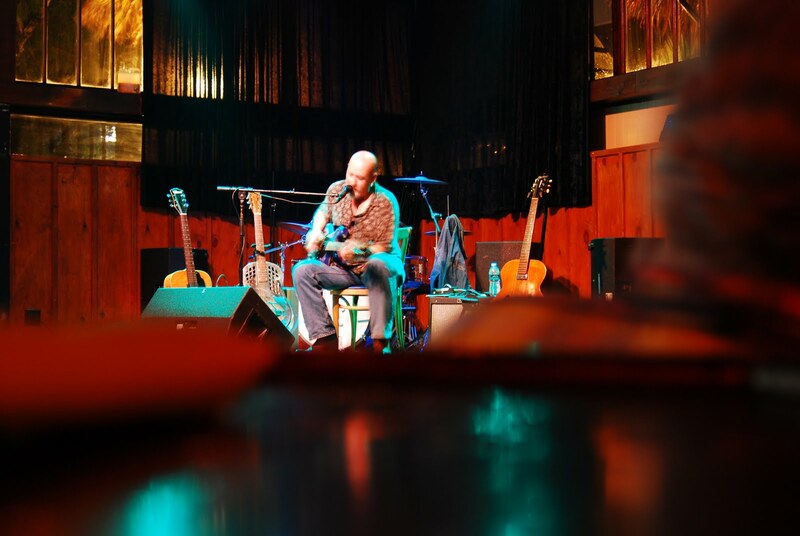 While we were there we heard the legendary John Mooney play blues (slide) guitar for free at the Indigo Room! He’s a pretty amazing musician as you can see from his website. (There’s a photo of him playing with Bonnie Rait among other things). Apparently he has family in Fort Myers, so he comes to see them and drops in at some of the local places to play. Sorry that the photo is blurry. I was using our table as a tripod and it kept getting bumped, but you get the idea. Here’s a photo from his website. After that we wandered down to have dinner at the French Connection Cafe. 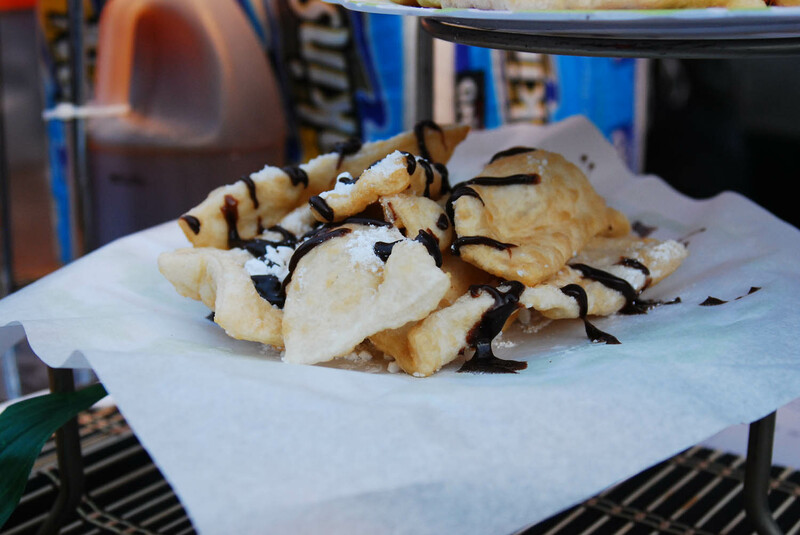 The food was excellent and very reasonably priced. Even though we had a pretty big storm earlier in the evening, the weather was perfect for eating outside. 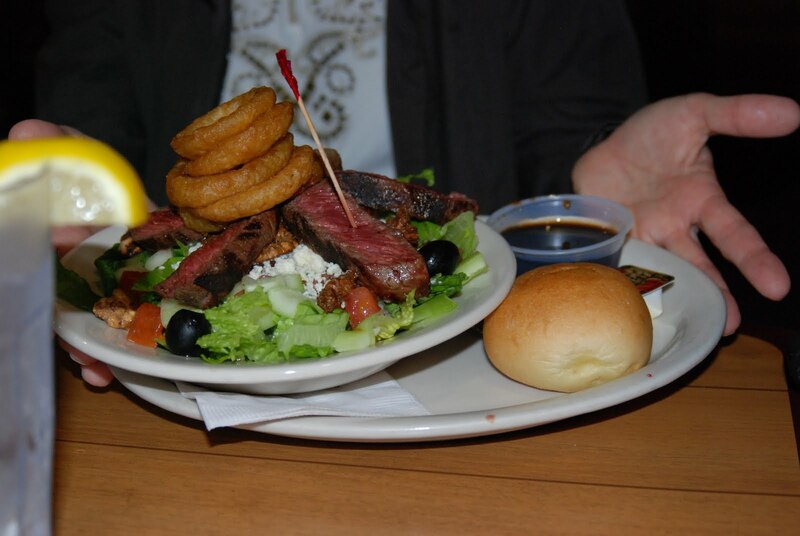 Check out Alice’s Steak Salad. Mmmm! 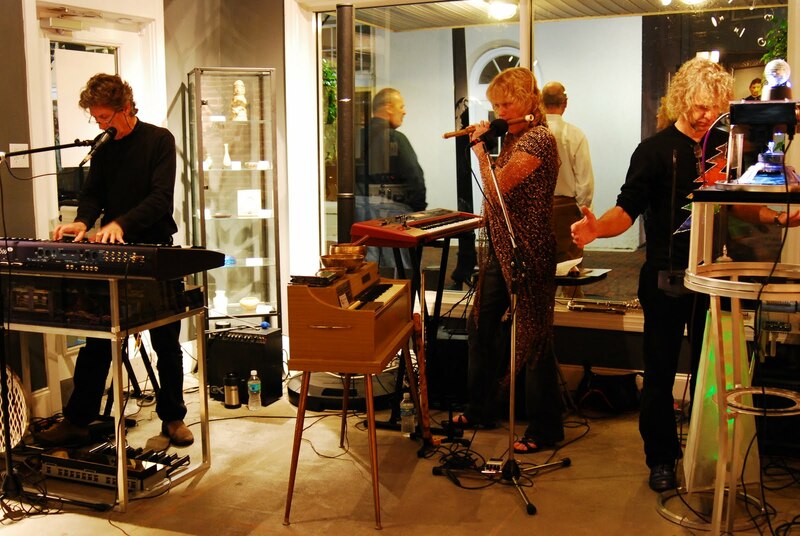 Later we stopped in at this Arts for ACT Gallery and Boutique set up to raise funds for (Abuse Counseling and Treatment) in the Fort Myers area. See the beautiful blue scarf hanging over the partition? That’s where I found MY beautiful GREEN hand-dyed silk scarf by Sara Long that I promptly purchased to bring home. It was VERY reasonably priced too. 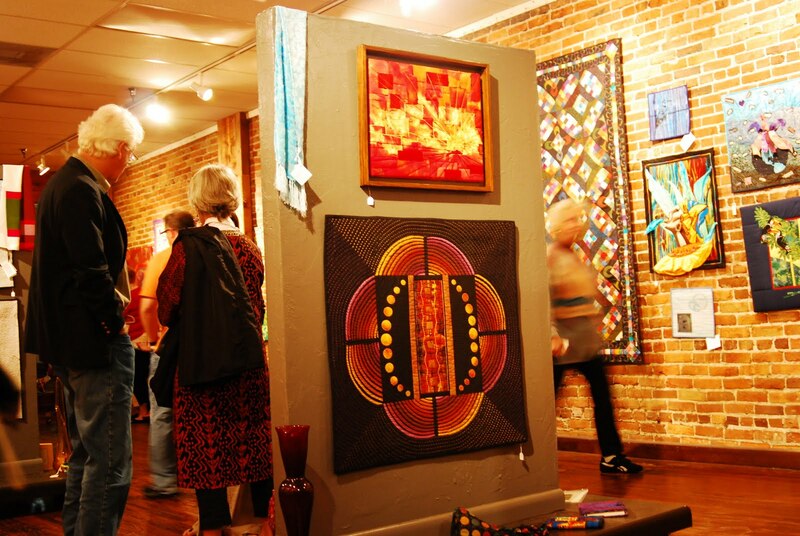 I loved all the quilted art and textiles here. Well we’re headed out to Naples today, so that’s all I have time for. We had a really fun time at the Art Walk, thanks to our host and tour guide, Alice. 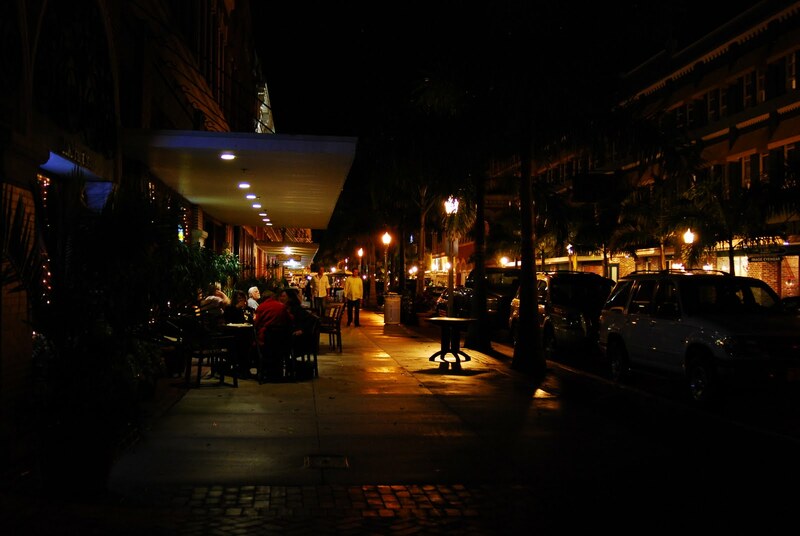 Fort Myers, Florida (Part 1)! 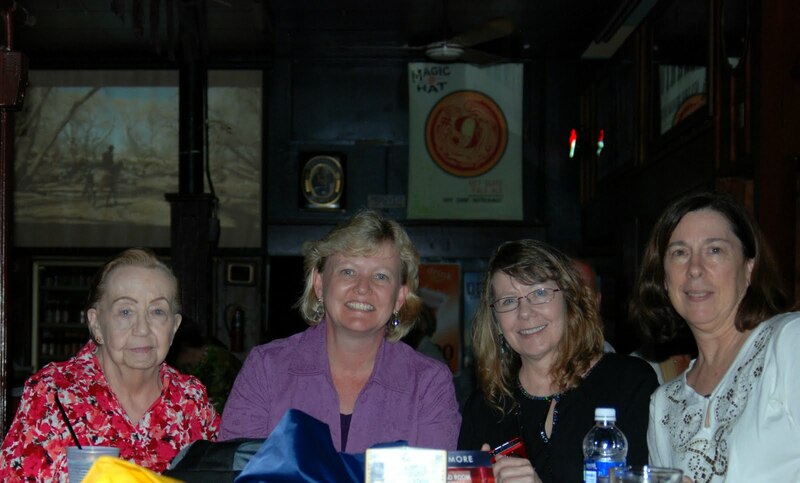 For those of you who don’t already know, I’m in Fort Myers with my mom and my sister, Diane on a short vacation to visit my mom’s sister, Alice. Unfortunately, it’s after midnight here and we have a busy day planned tomorrow (and most every day that we’re here), so this has to be short and sweet. I just couldn’t wait to post a couple of pictures of some of the things that we saw tonight when we went downtown to their First Friday Art Walk. Yes, they have one too. We’ll talk more about that later. I just LOVE it! Alice didn’t really know the story behind the choice of the various words. Some of them are definitely real words, but others look to be either made up or another language. I haven’t had time to research it. Let me know if you know anything about it. 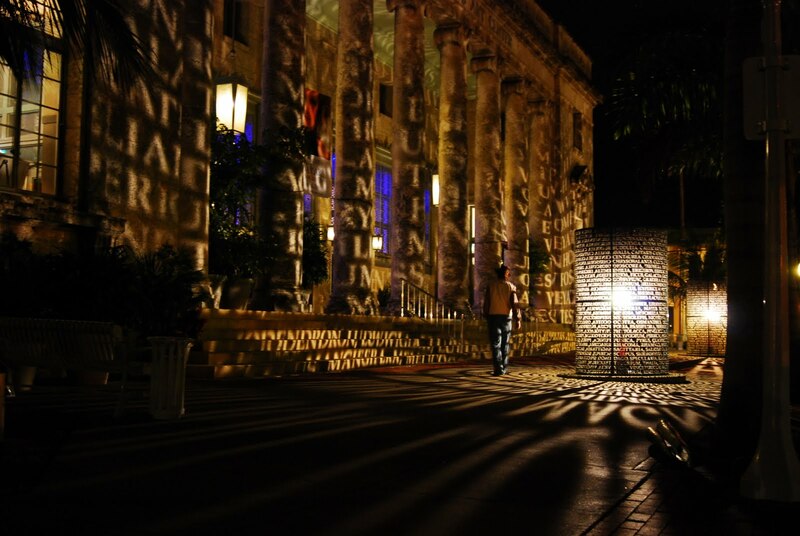 Anyway, this is at the Sidney and Berne Davis Art Center in downtown Fort Myers. 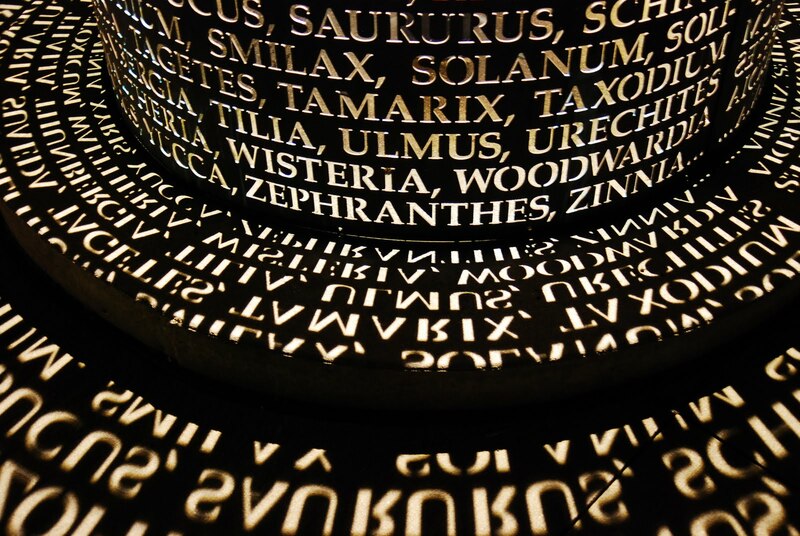 Here’s a close up of the words below as well. Later we went into this gallery that had some gorgeous textiles! 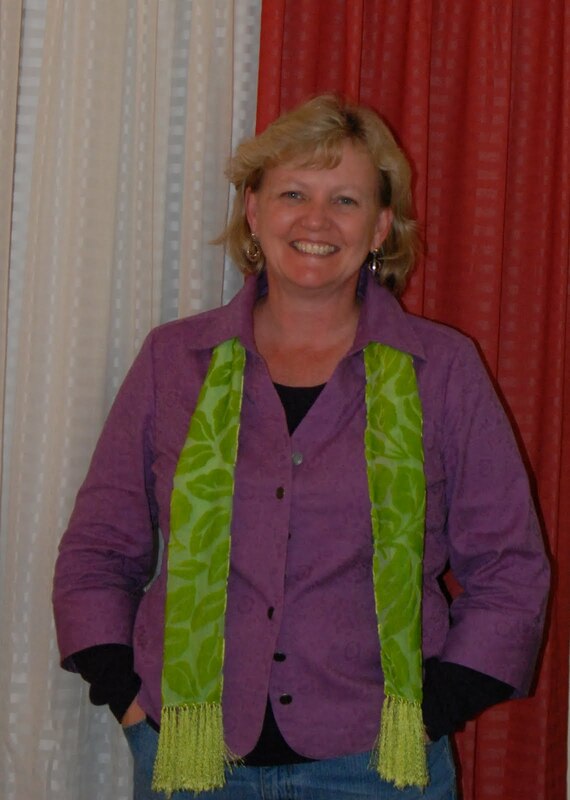 I found this beautiful hand-dyed silk green scarf for only $15! What a fun souvenir to bring home as a reminder of the wonderful time that we’ve already had…and it’s only the first day here!